Well, I don't know about you but when I think of paint, I immediately have a coloring urge. Monsieur Eiffel chose to paint the Tower red after it was erected and since then the Eiffel Tower has changed colors several times transitioning between red-browns to mustard yellows back to red-brown and more recently, variations of brown. 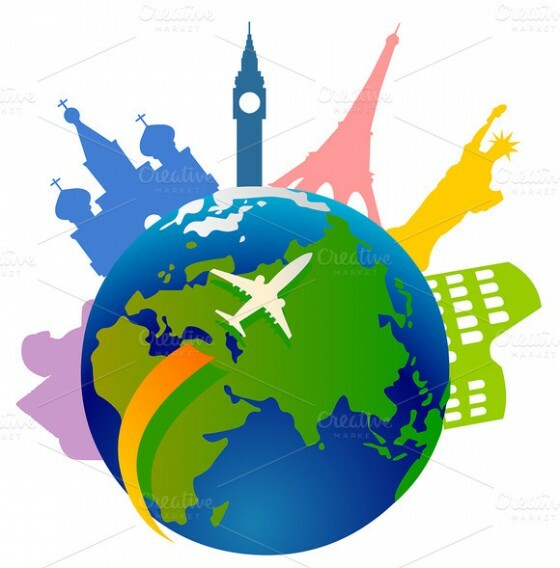 According to the official Eiffel Tower website, the most current colour is labeled Bronze though others have labeled the current colour Milk Chocolate Brown or Brownish-Grey. Which Color is the Official “Bronze”? Going with the official colour name from Paris, the current “Bronze” has been determined to be the best colour to bring out the structure against the Paris skies. And, to ensure that the Eiffel Tower’s colour is perceived as consistent from the bottom to the top, the Tower is painted in three slightly different shades: the darker at the bottom and the lightest shade at the top. Being the City of Lights, its no surprise that the Eiffel Tower’s colors have also changed depending on the lights that saturate and accentuate its forms. André Citroën may have been the first to advertise on the Eiffel Tower with lights, but it was lighting designer Pierre Bideau who in 1985 used 336 projectors to bathe the Tower in yellow-orange radiance. 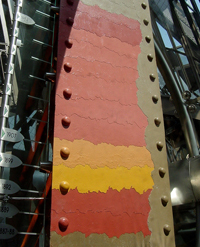 His installation set the standard lighting colour used today to illuminate the Tower (and many other landmarks) at night. 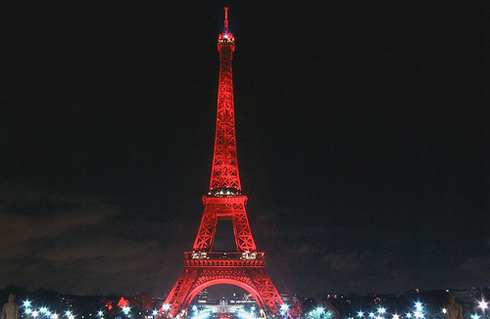 In January 2004, the Eiffel Tower celebrated the Chinese New Year in Scarlet. 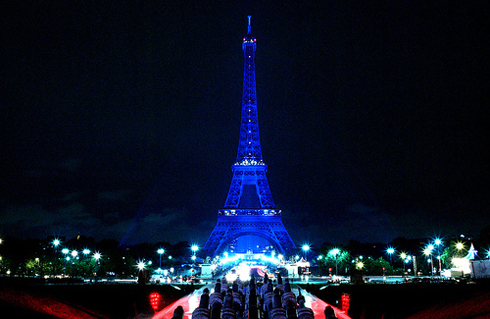 In May of 2006, the Eiffel Tower went blue to celebrate the 20th (edition) of Europe Day. 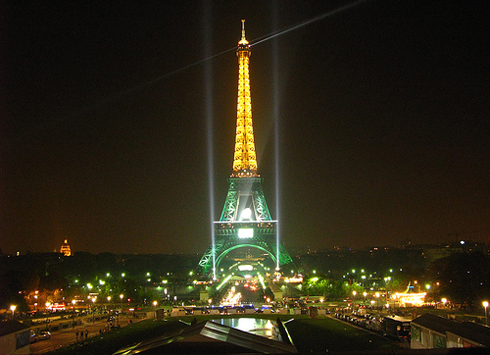 And, for the World Rugby Cup in the fall of 2007, the Eiffel Tower was lit up like a rugby field. Every six to seven years, it takes approximately 60 tons of paint, 1500 brushes, and over a year for a team of fearless painters to meticulously cover the surface by hand to protect it from oxidation. 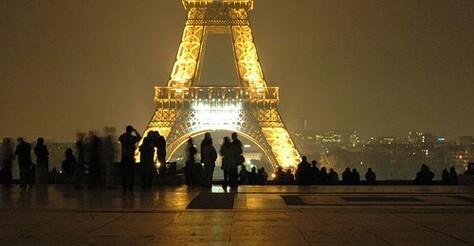 At the end of this year (2008), la Tour Eiffel will undergo its 19th paint job. This may be hard to fathom, but la Tour Eiffel designed and engineered by Gustave Eiffel (who also engineered the Statue of Liberty) was not always loved. Inaugurated in 1889 to mark the centennial celebration of the French Revolution (1789-1799), much of the public first considered the Eiffel tower a blemish to the skyline. So much so that in 1909 when the permit for Gustave Eiffel’s tower expired, the City of Paris considered dismantling the tower. 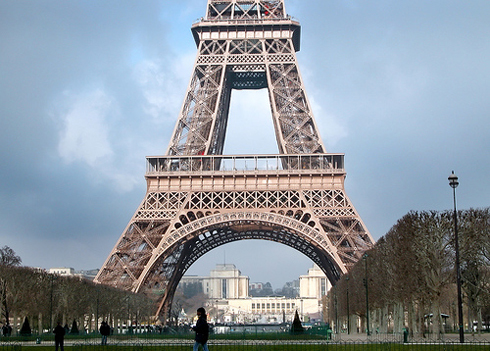 Lucky for us, Paris realized the efficient communications power of the Tower and decided to leave it standing. 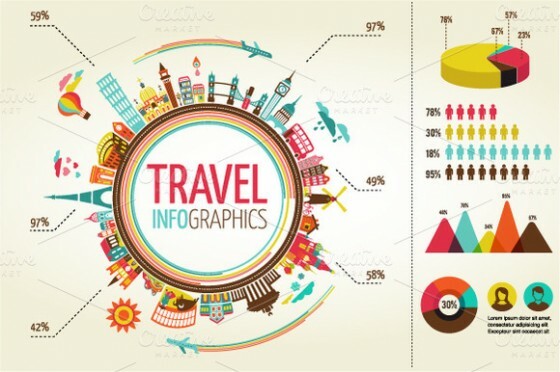 Are you ready to take your project to Paris? 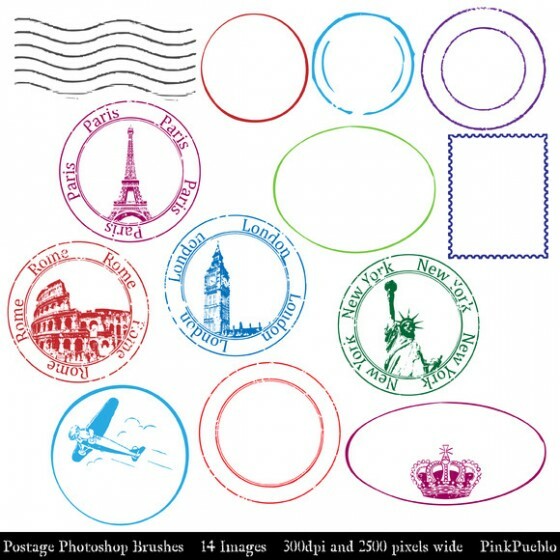 Check out Creative Market for some awesome downloads. wow! I learned a lot from this post. its beautiful, I knew it was red at one point but my goodness, its been a lot of colors! I sure learnt something today, thank you!